The Khon is a traditional Thai dance drama which includes part masked dance and part play. 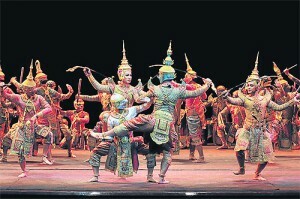 Originally the Khon (in Thai:โขน) was only performed at the royal court. Traditionally, similar to Shakespearian dramas, the roles were played merely by men wearing masks and by narrators who told the Ramakien story on which the Khon is mainly based. The Thai Ramakien can be considered as Thailand’s National Epic in which Hindu and Buddhist mythology combine with local Thai traditions. What is more, traditional Thai puppet theatre is also similar to Khon performances since it is also based on the Ramakien. In short, the Ramakian is about Rama who fights against a demon that has abducted his wife. In addition, there are many side story and charakters in the Ramakien and thus also in the Khon. 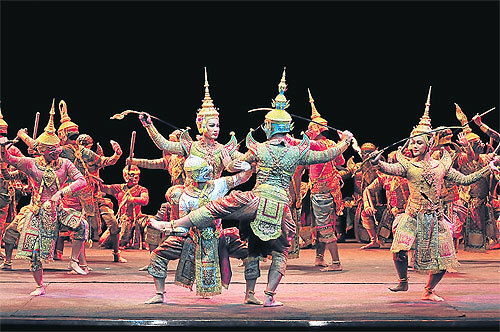 This dance drama is always accompanied by musicians playing traditional Thai instruments. This emsemble of classical Thai music is called ‘Piphat‘. 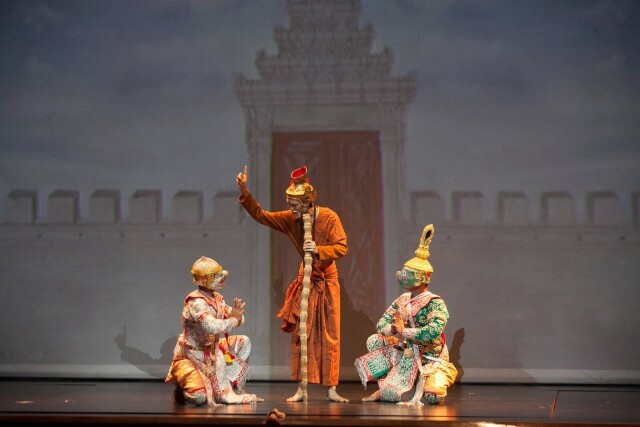 In fact, the traditional Khon shows similarities to early Shakespearian productions because not only were all roles played by men but there was also comic relief included. 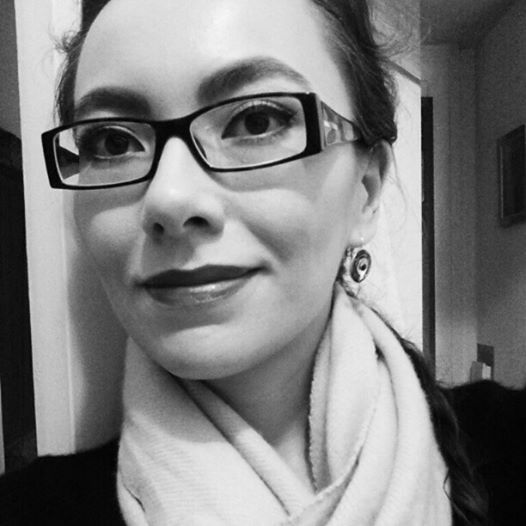 Comic relief are humorous scenes or characters that contribute to relieve the tension of the dramatic action. In the Khon, comic relief was most often physical and bawdy and done in more common language. However, today in modern Khon performances there are also female actors for female characters. In this context, we also come across the term khon phu ying (โขนผู้หญิง). In addition, only the monkey characters and the ogre wear masks whereas most of the human-shape entities do not. Thus, the Khon always consists of four categories of people, namely the performers, the chorus, the singers and the orchestra. The performers play either a human (male or female), a demon or a monkey. 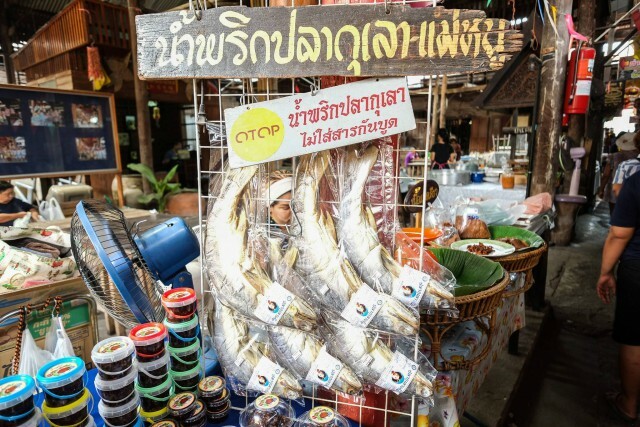 In fact, the Khon has numerous characters, there are 311 in total. Phra Ram is the incarnation of the god Phra Narai (this is the Thai incarnation of Vishnu). He is Rama, the king of Ayutthaya and wants to extinguish evil. Hence, the demon king Tosakanth (Ravana) is his greatest opponent. Phra Lak is the loyal brother of Phra Ram. He helps his brother to fight against the enemies and what is more, Phra Lak has special powers because he is the incarnation of the serpent. Sita is Phra Ram’s loyal consort. She is the incarnation of the goddess Lakshmi. 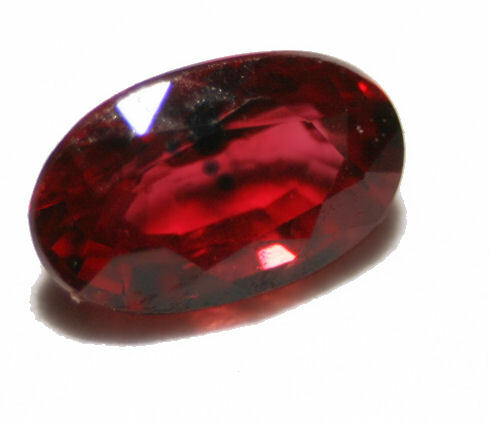 However, she is also the daughter of Tosakanth. Tosakanth (Ravana) is the demon king of Longka who is the incarnation of the demon gate keeper Nontuk. Tosakanth has ten faces and twenty arms. He destroyes everything that displeases him. Hanuman is the monkey god, he is Phra Ram’s monkey general who defeats Tosakanth. Hanuman is loyal and funny but he is also wanton and lascivious. Phipek is Tosakanth’s brother and a prophet. Since he predicts that Tosakanth will be defeated by Rama’s army, he is expelled from the city. However, after Tosakanth’s death Phipek becomes king of Longka. 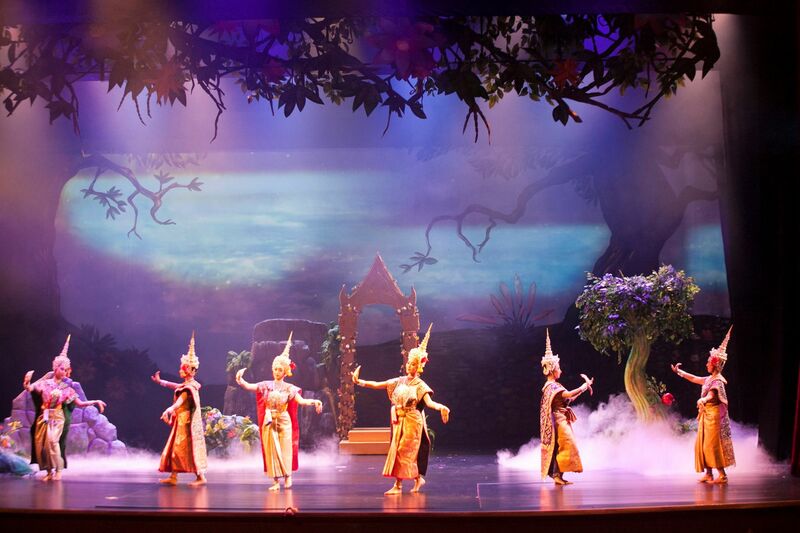 By the way, the Sala Chalermkrung Royal Theatre shows the classical Thai masked dance drama. At the moment, there is a show depicting the story of Hanuman. 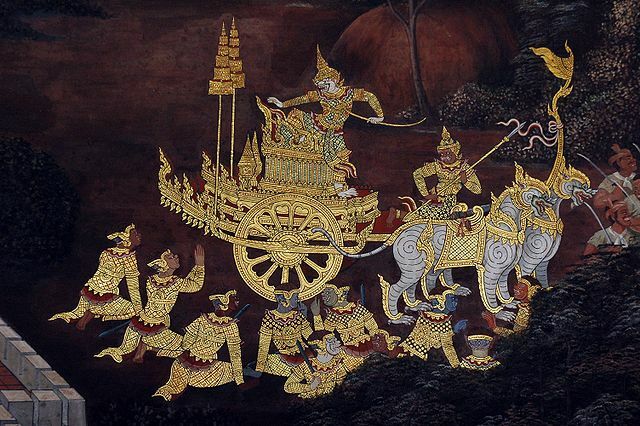 The Khon also extends to and influences Thai art forms like the visual arts. For instance, Thai National Artist Chrakrabhand Posayakrit painted many pictures with scenes from the Khon. 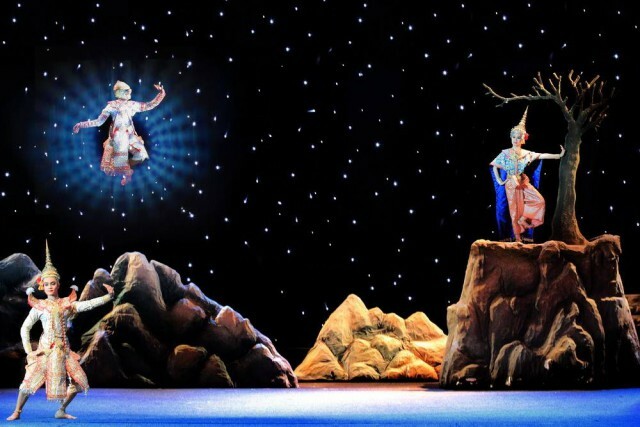 Finally we can say that Khon is a classical Thai dance drama that expresses Thailand’s most elaborate tradition. I’d like to show you here some impressions of a Khon performance, the following video also demonstrates how the dancers prepare for the show. For instance, Thai pop singer Chin Chinawut also performed as a Khon dancer (Tosakanth) at the World Expo in 2010. Have you been to a Khon Thai dance performance? Which of the characters do you like most?